Disease outbreaks and bioterrorism are major public health concerns, and public health departments are required to prepare plans to respond to these emergencies. When the Arizona Department of Health Services decided to test the state’s preparedness plans for bioterrorism response, researcher formulated a mathematical program in “A Genetic Algorithm for Optimizing Service Times during a Public Health Emergency: Locating Dispensing Sites and Allocating Medical Staff”. The goals is to develop flexible decision support tools to help the state health department design effective bioterrorism preparedness plans. Points of dispensing, or PODs is important in providing higher quality public health services. Responding to such emergencies in a timely manner requires optimally locating medical supplies and staff for effective distribution. 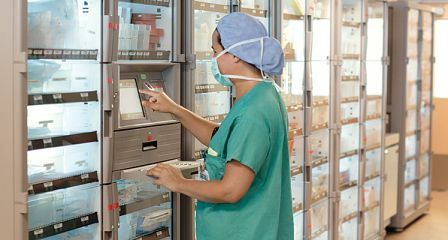 An important criterion in selecting the locations of dispensing facilities is being able to dispense medication at demand points with minimum service times while directing the public to the closest facilities. When the number of PODs to open is high, the right staffing at each facility decreases the average waiting times significantly. Finally, having multiple servers reduces the variability at service stations, therefore reducing the total service cycle time.